The value of Ford stock grew 3.6 percent or $0.32 during the January 21st, 2019 thru January 25th, 2019 timeframe, closing the week at $8.86 per share. 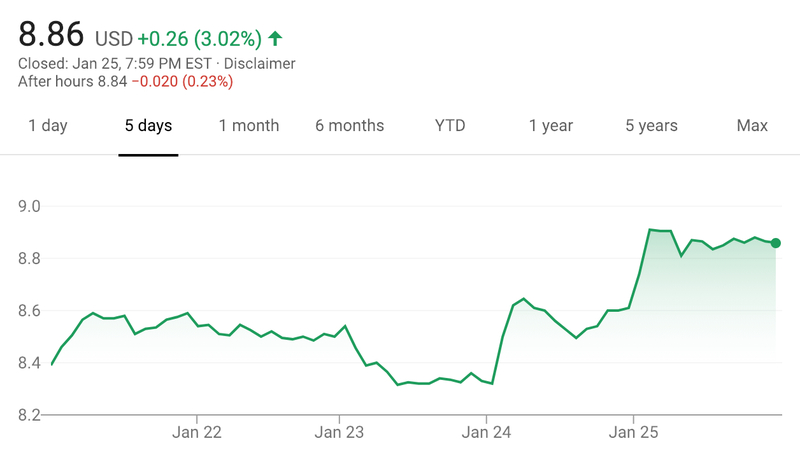 Overall, it was a pretty good week for Ford shareholders, considering the 3.6 percent rebound in the value of Ford stock. By comparison, Fiat Chrysler Automobiles experienced slight growth this week while the value of GM stock stayed consistent. It will be interesting to see how Ford stock fairs in 2019 given the recent decisions by the automaker to optimize its business performance, including discontinuing all sedans and focusing on more profitable crossovers, SUVs and pickup trucks in the North American market.